Is this what loyalty to a certain brand or product has come down to these days? The era of information has changed the way we shop, with online search for product information, real time price comparison and reviews preceding almost all of our purchasing decisions. According to the 2010 Cone Consumer New Media Study, companies have to work very hard to engage with loyal consumers online and even harder to keep them. Consumers demonstrate affinity online (e.g., “like” on Facebook, “follow” on Twitter or subscribing to an RSS feed) for an average of only 4.6 companies and 59% of them say they won’t hesitate to punish companies by disengaging if the company acts irresponsibly toward its consumers (58%), over-communicates with them (58%) or provides irrelevant content (53%). They also consider under-communicating (36%) and censoring user-generated content (28%) as deal breakers. According to the aforementioned study, consumers who engage with companies online are more likely to share information about the company across their own social networks (62%), feel a stronger connection to the company (61%), feel better served by the company (60%) and purchase the company’s products or services (59%). Building a strong long-term relationship with the consumers goes beyond the traditional loyalty programs into a holistic customer experience, entailing superb customer service, integrity in communication and focus on engagement. Loyalty programs however have not disappeared but rather evolved with the use of social media for marketing purposes. Let’s take a look at the use of social media brands have done so far to initiate a shopping lockdown. Exclusive Offers: Many hate shopping, but no one hates sales. As you all know “the rent is too damn high”, so people are always on the watch for offers and sales alerts. Special offers to your fans may be an incentive to keep them “hooked” on your feed. For instance 1800Flowers has a 20% off the next order for people that like the brand on Facebook as well as weekly giveaways along with flower tips, while Radioshack provides exclusive in-store discounts for its Foursquare friends as well as a special holiday badge that equals 20% off for unlocking it. Premieres: Whether it’s limited edition items or products that are not yet available in-stores, exclusive distribution to fans creates a special bond. Many artists have used this tactic, like Alicia Keys that rewarded the loyalty of her Facebook fans by allowing them to listen to her new album before anyone could even buy it. And e-retailer for independent designers, Moxsie gives its members early access to upcoming collections. Special Service: Social media present brands with an amazing opportunity to identify their loyal customers and tailor their services to their needs and tastes. Dell is taking advantage of this with the Tag Team Facebook application that helps its fans discover how others use their technology, discover the right products for them, get advice by friends and share their Dell experience. Another example is Target, which with the MyTargetWeekly Facebook application provides its fans a customized shopping experience with in-store deals that fit their wants and needs through a recommendation system that gets “smarter” as they use it. Exclusive events: What keeps a family’s bond strong is holidays and family dinners. Brands bond with their customers through special events that mix the warmth of family with the exclusivity of a private club. Lululemon Athletica keeps customers up to date through its Facebook page on local events and activities like marathons and yoga events organized by the brand. The special events may take place online like the Angel Chat by Victoria’s Secret. The Victoria’s Secret Facebook fans can RSVP for webcasts starring the brand’s famous angels. Online communities: On top of their social media accounts many brands have built custom made social networks to connect further with their customers. Patrón tequila has built its own social network integrated with Facebook connect. The club organizes covert dining experiences featuring Patrón cocktails, paired with special menus in hip spaces in different cities. The members have access to cocktail guides and special treats if they identify a bottle by entering a bottle’s number. Best Buy has built its own community forum for its members to get fast resolution to customer service issues and keep an ongoing conversation about technology in day-to-day life. Recognition: Who doesn’t like hearing how special he or she is especially in public? Royal Dutch Airline KLM, as we posted recently, surprises travellers that check into KLM locations via Foursquare with personal gifts after some snooping around their social networking profiles. Toys “R” Us chose a simpler way to honour its fans by featuring a different fan in its Facebook’s profile picture every week. Crowdsource Ideas: It’s always nice to feel that not only your wallet is appreciated, but also your ideas and creativity. Brands are reaching out more often to their customers, asking for their contribution to new product design or help in mapping the brand’s future. Starbucks engaged their customers in an open dialogue about ways to improve Starbucks through My Starbucks Idea and LEGO with LEGO click reached out to them through a collaboration platform for new ideas relating to toys and technology. LEGO enthusiasts are also encouraged to share their click moments through tweets tagged with #legoclick or posts on its Facebook page. Are the above actions enough to get to your consumers’ hearts? Not completely. They will, however, be appreciated and along with a consistent customer service and continuous exploration of new and more effective ways of communication could lead to what Kevin Roberts calls “loyalty beyond reason”. 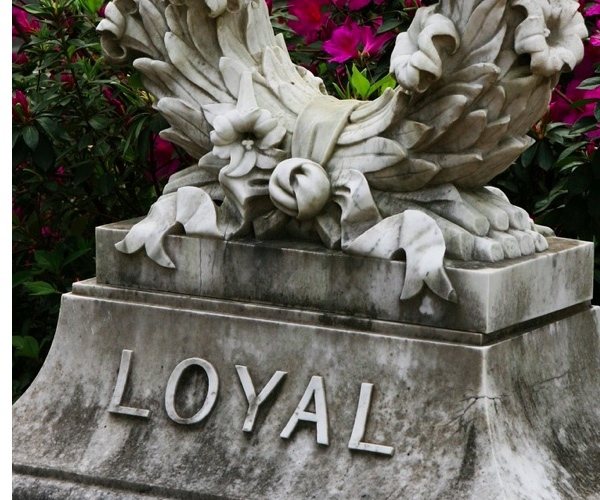 What do you think, is loyalty dead?